The story of the journey form Laindon station to a life as a legend of comedy in the Carry on films. I have a story that my mum used to tell us when we were children. Mum’s father, my grandfather, Arundel Pryor, used to go to the public house, either the Laindon Hotel or the Fortune of War with Joan’s father. My nan used to get cross if it happened too often. Yes! I, too, have this book, and also a video of “Basildon – the birth of a city” organised by Peter Lucas. Joan was in my class at St. John’s School, Billericay, and for a short while (at age 9!!!) she became my girl friend, with our holding hands on the bus home from Billericay to Laindon. She visited my home in Victoria Avenue, Langdon Hills many times, and on several occasions we played cricket on our “playfield” – with others, of course! – beside my parent’s bungalow, “Iringa”. The last time we spoke was on the phone for about an hour, when, as Churchwarden of Orsett Church in about 1974 I asked her if she would open our church fete that year. Unfortunately, she said “no, although if it were scripted as a play” she could do it! A truly lovely lady. 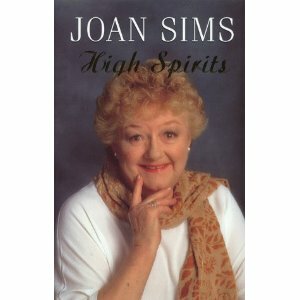 Try to get a copy of this book by the late actress Joan Sims as there is a mention, as well as photographs of Joan at Laindon station when a child. I have a copy that was given to me years ago, and will never part with it.